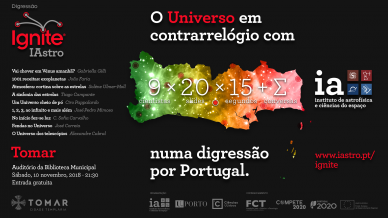 Researchers from Instituto de Astrofísica e Ciências do Espaço will take us on a journey from the Solar System to the edge of the Universe in five-minute presentations. 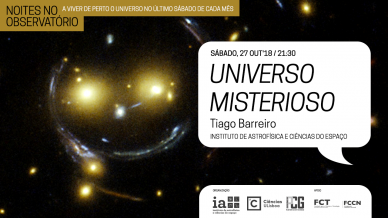 Let's explore the dark side of the Universe and cast light on the unknown in the October session of Noites no Observatório. 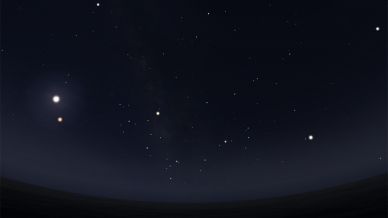 After Earth, the red planet seems to be the body of the solar system where it is more likely to have ever existed life. 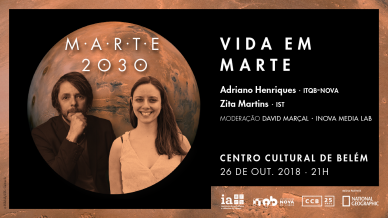 Conversation with the researchers Adriano Henriques and Zita Martins about the search for Life on Mars. 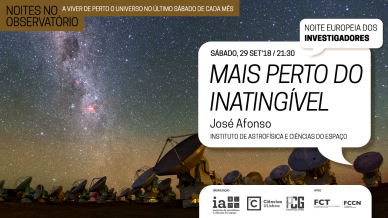 In this session of Noites no Observatório learn about the new horizons in astronomy and the giant telescopes that promise to take us closer to the unreachable. 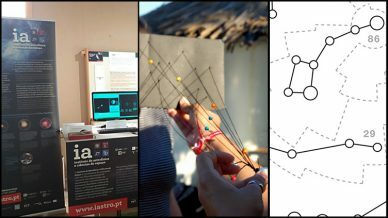 In this year’s European Researchers Night accept our invitation and take part in the many activities organised by IA or which we are joining. 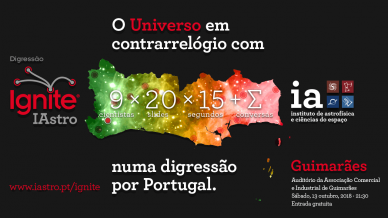 In the July session of Noites no Observatório, with your family or in a team, test what you know about astronomy and discover interesting aspects about what we see in the sky. 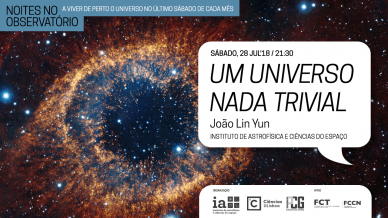 In this Summer night, enjoy a lunar eclipse and observe Jupiter and Saturn through the telescope from the terrace of Museu de Lisboa - Teatro Romano.